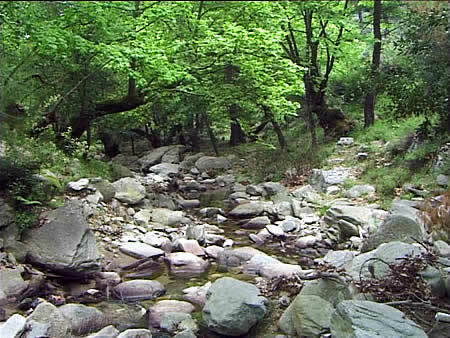 Photographs of the nature surrounding Kazaviti on Thassos island in northern Greece, pictures, fotos . The older generation remembers the times when the streams of Kazaviti were perennial. But the climate changes rapidly and now the gorges carry surface water only from winter to early summer.